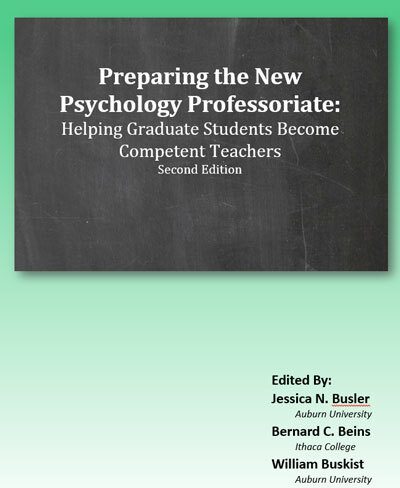 This book--the second edition of Preparing the New Psychology Professoriate: Helping Graduate Students Become Competent Teacher--is intended to provide graduate students interested in pursuing an academic career with a detailed introduction to the transition from graduate school to the academy. It is chock full of excellent advice for how graduate students might successfully navigate this transition and thrive in their new work environment. Chapter 1: Preparing Psychology Graduate Students to Teach: Where Are We and Where Are We Going?